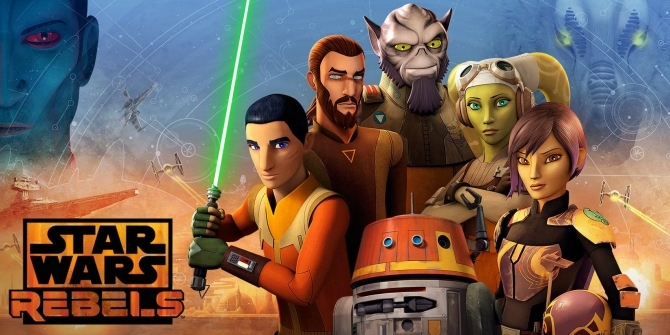 Star Wars Rebels wrapped up its fourth and final season earlier this month and delivered an exciting and emotional last episode. At the climax, the show’s protagonist, Ezra Bridger, appeared to sacrifice himself to defeat the evil Grand Admiral Thrawn, as he sent the villain’s ship hurtling through hyperspace without the protection of windshields. The pair were never to be seen again and as such, their fates were left open-ended. What the future holds in store for Ezra in particular remains unknown at this time, but in addition to the show’s legion of fans, someone who wants him to return in a different incarnation of the franchise is his voice actor, Taylor Gray. Though he appreciates how Rebels gave the character a fitting ending in many ways, that doesn’t stop him from wanting Ezra to be revealed to be still alive – maybe even living with some space-squid creatures. Whether this is the last time he gets the chance to play Ezra or not, Gray is still pleased he got the opportunity in the first place, as he’s had a blast working with the Star Wars Rebels cast and crew and is happy that the fans have taken to the series so much. So, where could Ezra turn up next if that’s indeed on the cards? Well, word has it that the next animated series set in the fabled galaxy far, far away will be called Star Wars: Resistance. It’s a title that suggests a show which takes place in the continuity of the Sequel Trilogy, exploring the Resistance that forms to combat the First Order. Though we haven’t seen him in the modern films, it’s not out of the question that Ezra helped the Resistance prior to the events of The Force Awakens. In fact, the Star Wars Rebels finale even set up a way for Ezra to make a comeback. In a flash-forward to after the Empire’s defeated in Return of the Jedi, Ahsoka Tano and Sabine went on a mission to find their lost friend, and with any luck, they might just succeed.